That’s mighty impressive, for sure, but how fast do you think you can sprint? Unless you compete in timed races, the average person rarely gets an opportunity to test their speed. 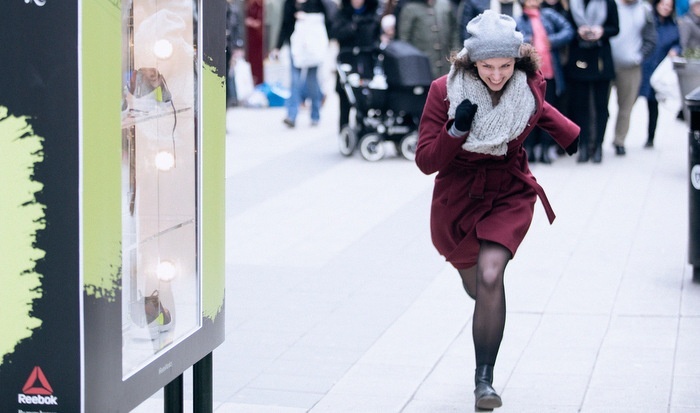 A recent experiential campaign from Reebok, however, gave shoppers in Stockholm the chance to do just that – with a very attractive incentive ‘to boot’. 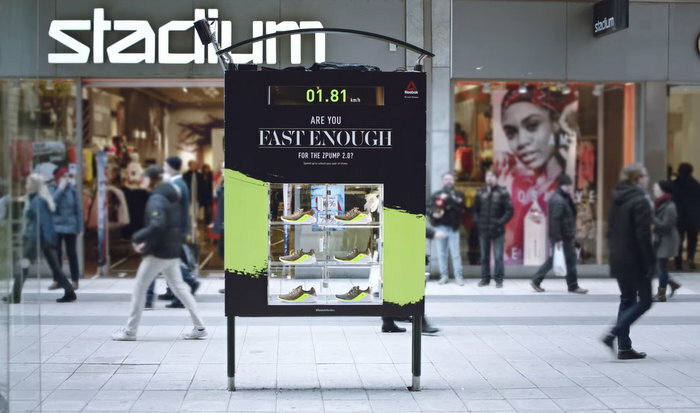 Using an interactive outdoor ad, the sports brand offered people in Sweden’s capital the opportunity to win a free pair of shoes. They just had to be able to run fast enough. For the stunt, the brand set up an unusual out-of-home ad in the middle of a busy street. Inside the branded digital billboard were six Reebok ZPump 2.0 shoes, each locked in a separate plastic box. The message on the ad posed the question: "Are you fast enough for the ZPump 2.0?" In order to open up the locked boxes and take home a free pair of the new trainers, pedestrians had to run past the billboard as fast as they could. A built-in speed camera measured how fast they ran and registered it on a screen at top. Anyone who ran past the ad faster than 17 kilometers per hour (about 10.5 miles per hour) unlocked a brand new pair of ZPump 2.0 shoes. Unsurprisingly, everyone wanted to have a go and people stopped what they were doing and took up the running challenge in their street clothes. The stunt underlined Reebok’s “Be More Human” tagline, which encourages everyday people to push their limits in exercise and sport. Similar to Reebok’s Subway Pump Battle, this campaign shows how sports brands can use exercise-themed experiential stunts to give consumers a memorable brand experience.